The PASCAL Ci4 range of digital pressure transmitters are suitable for measuring the relative and absolute pressures of gases, vapours and liquids. 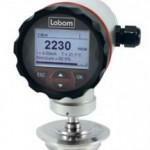 Labom’s pascal ci4 pressure transmitters are easy-to-use. An intuitive 4-button operation and high-resolution graphic display with backlight allows easy installation, easy operation and simple parameterising. Labom’s pascal ci4 pressure transmitters are extremely flexible, with comprehensive parameterising functions, comprehensive simulation and diagnostic functions, various process connections and nominal ranges of 0.25 Bar – 400 bar – LABOM have a pressure transmitter for almost any application. Along with the PASCAL Ci4 for general application, LABOM have a PASCAL Ci4 Pressure transmitter for Food, Pharma & Hygienic applications (Type CI4110). Due to the design and various process connections the transmitter is suitable for the hygienic requirements of the food and pharmaceutical industry. Diaphragm seals are partitions in pressure measuring instruments which prevent the measured medium from entering the measuring system. This allows them to protect the transmitters from aggressive, highly viscous or solidifying measurement media as well as from high media temperatures, vapours and measurement pressure fluctuations. In combination with diaphragm seal technology the transmitter is applicable for pressure measurement with aggressive, highly viscous, solidifying or crystallising media. 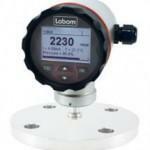 To learn more about LABOM visit the MGA Controls website or click here to view their profile on PIF.